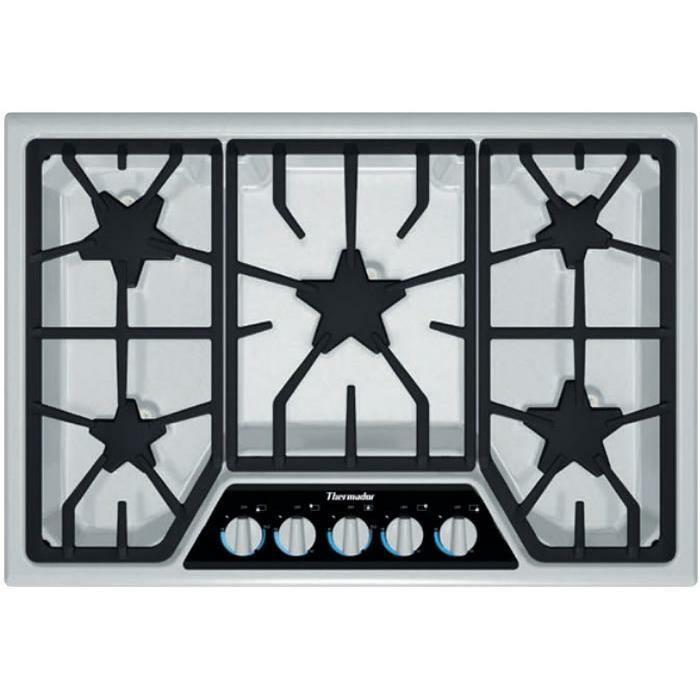 Thermador 36" Professional Series Pro Grand® commercial depth all gas range. 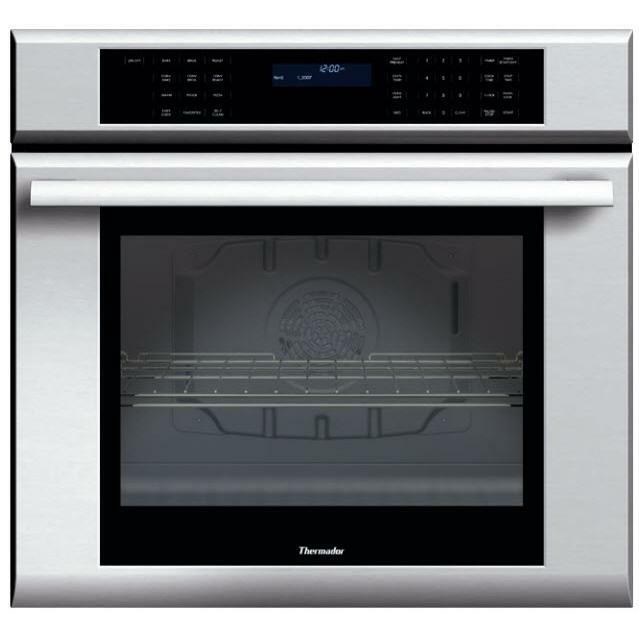 This model features an easy-to-clean porcelain cooktop, a 22,000 BTU power burner, a large capacity convection oven, SoftClose™ doors and Thermador's Star® burners with ExtraLow® simmering. 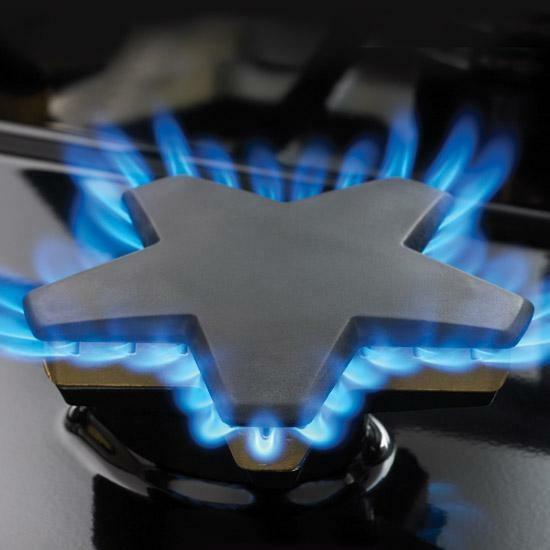 Exclusive, sealed 3-in-1 Star® Burner’s unique five-point design offers a reduced cold spot, faster time to boil and the ExtraLow feature. 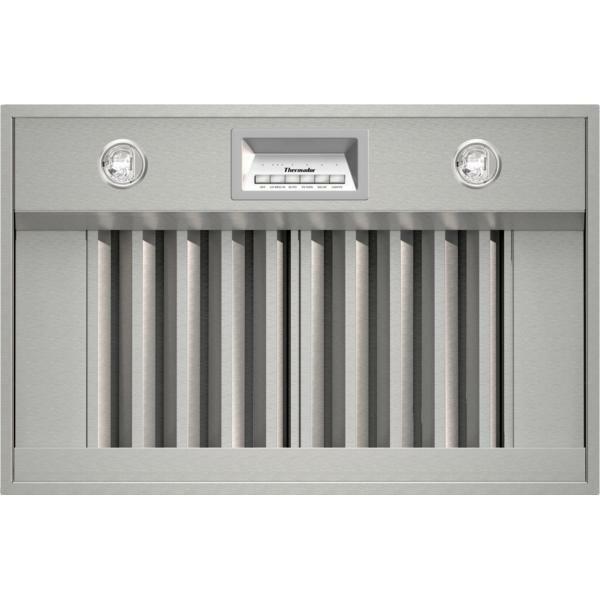 The coverage area allows for more ports and more flame distribution than a round burner. The Pro Harmony dual-fuel range boasts the fastest self-cleaning cycle on the market at just 2 hours (including cool down). Even the 48" model cleans both ovens simultaneously in just 2 hours. 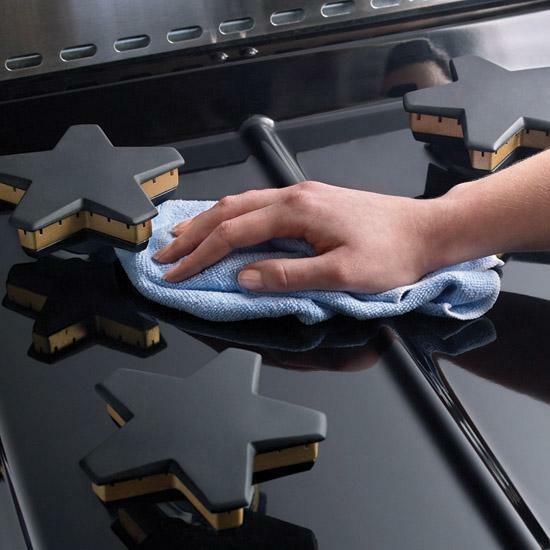 Door ensures ultra smooth closing of the oven door. Precision simmering capabilities as low as 100°F (375 BTU) with 4 ExtraLow® Simmer burners. 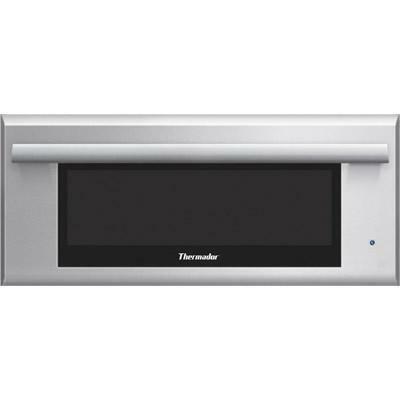 Thermador Professional® Ranges are Star-K certified making it possible to use them on the Sabbath or the Holidays. Capacity (cu. ft.) 5.5 cu. 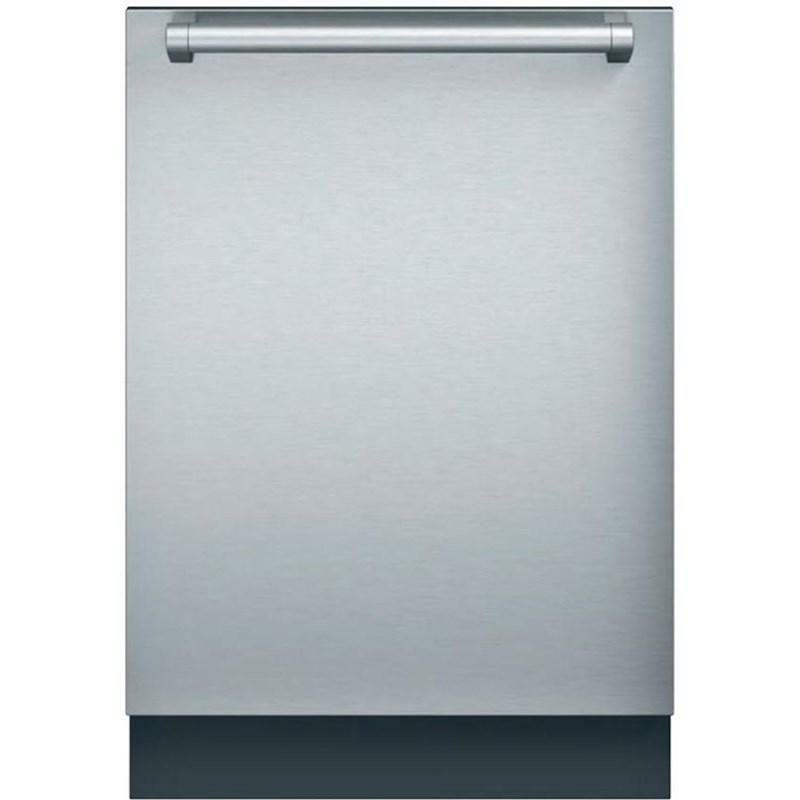 ft.
Thermador 36" built-in, french-door bottom freezer refrigerator with Masterpiece® handles. 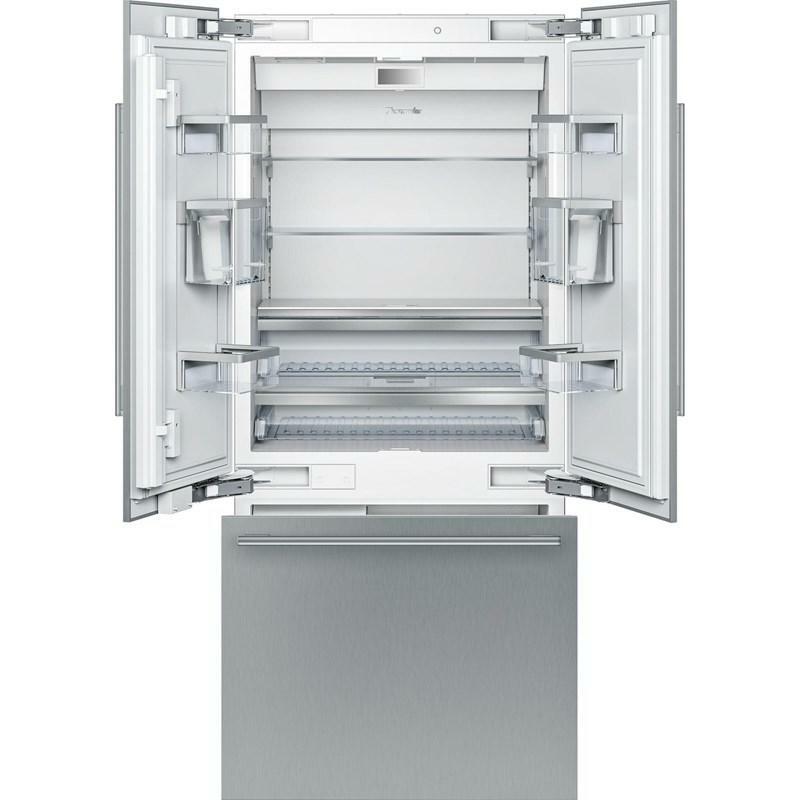 This model features theater lighting, a TFT display and SoftClose® drawers. Total: 19.4 cu. ft. / 0.55 cu. 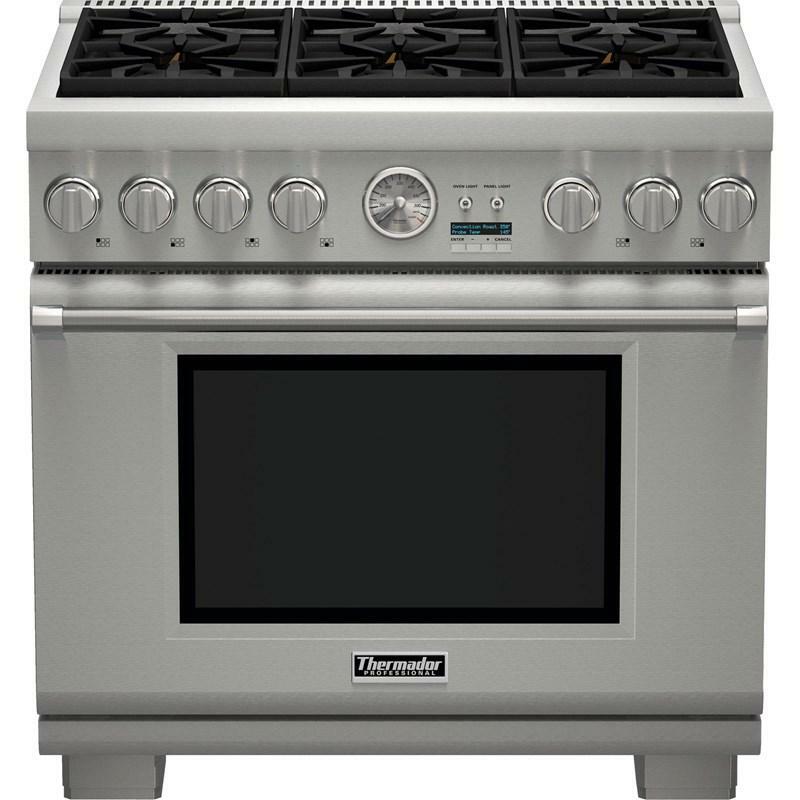 m.
This Thermador Masterpiece® Series, 30" built-in gas cooktop features 5 burners, illuminated control panel with die cast metal knobs and automatic electronic re-ignition. 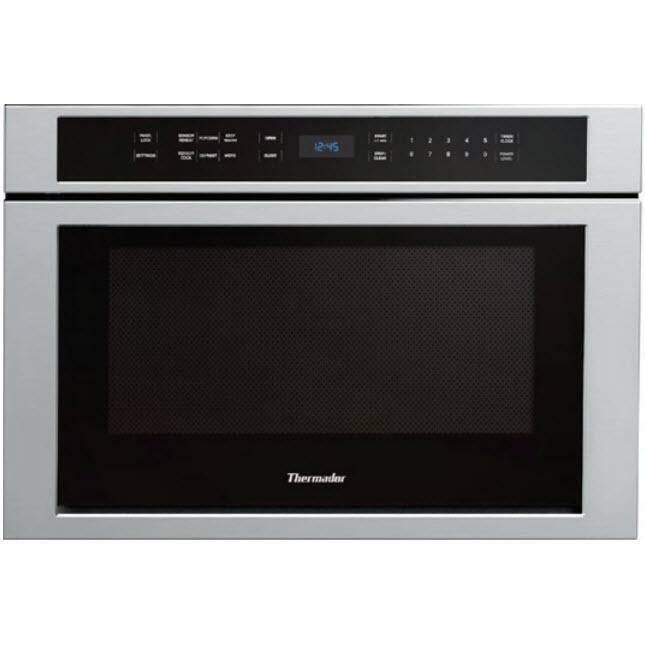 This 30 inch single wall oven with convection and 14 cooking modes gives you 4.7 cubic feet of oven capacity and the convenience of cooking several dishes at the same time without flavor transfer.